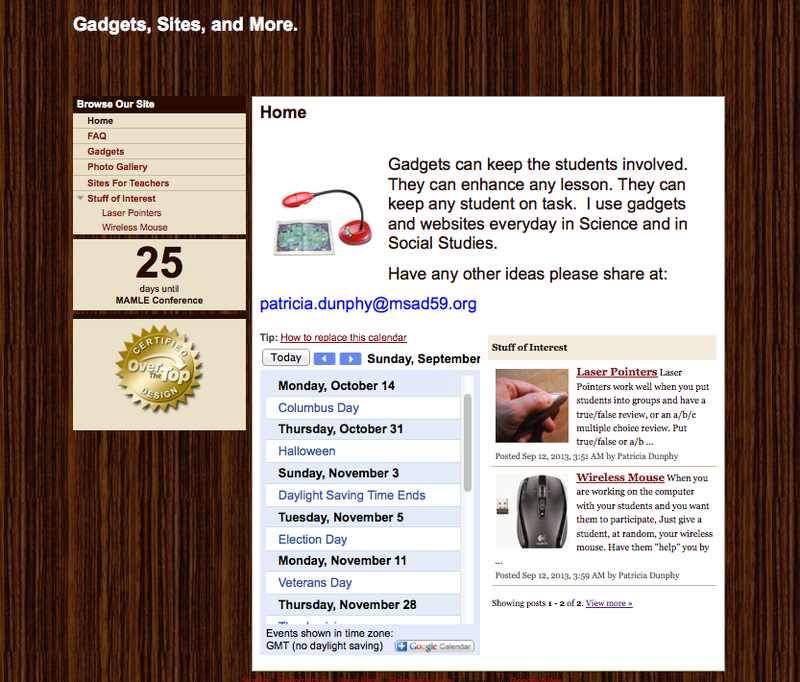 Pat Dunphy from MSAD 59 in Madison shares her Google site below. Click, read, and learn how to use your wireless mouse and laser pointer to actively involve your students in a lesson. Pat will be presenting at the MAMLE Conference on Thursday, October 17–Attend her session to pick up some new strategies! Here’s the link to her google site. This entry was posted in Annual Conference, Curriculum and Instruction, Engaged learning, General, Good teaching and tagged MAMLE Conference, Pat Dunphy, Technology Integration. Bookmark the permalink.